I hate to admit I'm so shallow a person that I judge a book by its cover . . . but I do. The cover of The Water Castle reminded me too much of a Choose Your Own Adventure paperback. I just could not imagine that I would find anything of much interest in it. 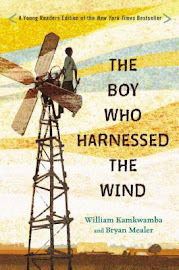 But then, as fate would have it, it just kept getting mentioned on all of the Newbery sites I read. And then, all the Newbery candidates I really want to read (The Real Boy, Flora & Ulysses, The Life of Billy Miller) have not been published yet. And since my goal is to read a handful of potential Newbery titles before the year is up, I decided to see if there was cause for my prejudice. The story has three key players: Ephraim Appledore-Smith (his father recently suffered a debilitating stroke, so he and his family moved to the inherited family estate (i.e. "the water castle") in the hopes that the Crystal Springs water will have a healing effect on his father); Mallory Green (her family has been the caretakers of the water castle for generations, and she has grown up on the magical legends of the old estate; but lately, with her parents' divorce, she has taken a cynical look at everything she once knew and loved); and Will Wylie (the Wylies and the Appledores have been enemies for many years, but Will has an extreme passion for science which might help break down some barriers). Ephraim immediately feels awkward in this small town (pop. 1716) where everyone seems to be a little smarter, a little stronger, and a little more talented than the average Joe. So he decides to bury himself in the mysticism which surrounds the water castle. His family has always been obsessed with finding the Fountain of Youth (that's why the estate was built in the first place), and Ephraim is convinced that if it does exist, then he needs to find it so that his father can be healed. Mixed in with Ephraim, Mallory, and Will's story are flashbacks to 1908 when Orlando Appledore (Ephraim's great-great-great uncle) began earnestly looking for the Fountain of Youth and hired Nora Darling (supposedly Mallory's great-grandmother) as his apprentice. 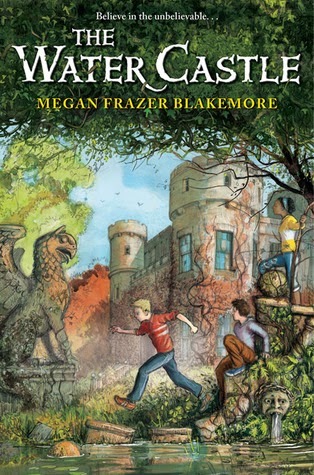 I can't say I disliked The Water Castle (it definitely did not feel like a Choose Your Own Adventure story), but it never gripped me the way I think it was supposed to. There was quite a bit of mystery surrounding the search for the Fountain of Youth and the convergence of past and present, but the plot was fairly slow-moving. Also, the language seemed a bit juvenile to me . . . and I don't just mean that the characters sounded young (although, at times, they did). Sometimes the dialogue sounded like it could have been written by a 10-year-old: a bit stilted and formulaic, developing the characters very methodically. I know I'm not doing a great job of explaining what I mean; it just seemed like the kids would meet up, have a civil conversation (with an occasional stereotypical argument thrown in here and there) full of lots of "sures" and "exactlys," and the plot would move the prescribed amount forward until the next conversation. 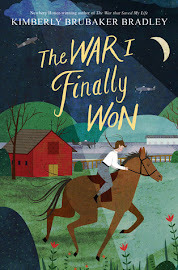 If this ends up winning the Newbery, then I will have to go back and reread it (maybe listen to it then) to see if a second reading helps me be any more enamored with the writing. The character spouting off the largest number of" annoying sentences was probably Ephraim's older brother, Price. For the life of me, I could not figure that kid out. At the beginning of the book, he tries really hard to be mature and kind to his siblings and fill their father's place, but pretty soon, that facade (because I think it really was a facade) is gone, and he is just a big jerk. Even though he was just a supporting character, his personality was so confusing and vague and changing that it really felt like the development of the story suffered because of it. I have to admit, I did stay up late to finish it. By the end, I was very anxious to see how all the pieces fit together. Except . . . many of the pieces were left undone. I'm torn because I definitely like it when an author leaves part of the ending up to the reader's imagination (and doesn't feel like they have to tie everything up in a neat little package or extend the whole thing into a tiresome trilogy), but this . . . this . . . felt like there were still too many questions hovering around in my brain. I wanted a little more, and I went to sleep feeling annoyed that I'd stayed up late to find out nothing. Now comes the part of the review where I retract everything I've just written, and say something like, "All that being said, it was still an enjoyable book." I've noticed I do that a lot at the end of my reviews. But I find myself wanting to do that again. Because in this case, as much as I personally was dissatisfied with it, I feel like it will find a favorable place among its targeted audience. It's very gender-neutral, it explores some interesting scientific/historical evidence, and it does have some exciting moments (including a dash to the hospital by an underage, unlicensed driver). 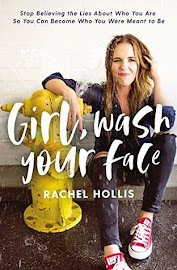 When my sons hit about nine or ten, I will definitely be giving them this book to read (but I probably won't be buying it).